We provide professional home and commercial air conditioning maintenance services After you’ve booked an air conditioning service inspection with us, you need to think about a maintenance plan. This is important for the efficiency of the equipment as it helps to avoid frequent breakdowns. The unit can’t absorb heat, without regular cleaning of the condenser coils, condensing temperatures/pressures can increase and cause a breakdown. Contact Austec Electrical for air conditioning maintenance services in Perth Our refrigeration mechanics are fully licensed and compliant. We guarantee that all electrical works and gasses are completed an. When servicing an air conditioner, choose a company you can trust Whether it’s hot or cold weather, an air conditioner offers a level of comfort in the office or home. To ensure it maintains an ambient temperature, you need to ensure regular servicing. 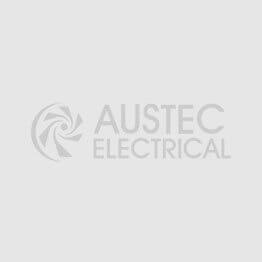 For air conditioning servicing in Perth, contact Austec Electrical today. 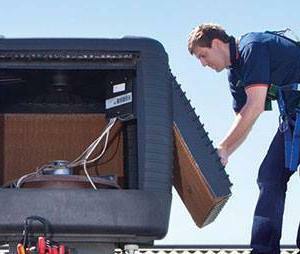 We have more than 30 years’ experience working with the most popular air conditioning brands in Australia. Servicing is essential because it maximizes the lifespan of your air conditioning unit. Servicing your aircon is important because it ensures that the unit functions at its peak. Experts warn that for ever. Repairs done to split system, ducted refrigerated and evaporative air conditioners When you are looking for affordable air conditioning repairs in Perth, look no further than Perth’s most experienced electrical company, Austec Electrical. Contact us for quick and reliable repairs, to ensure year round comfort in your home or office. Commercial and residential air conditioning repairs When you’re used to living with air conditioning in your home or office, it’s no fun when it stops working. The air becomes stale and the environment can get very uncomfortable, making it difficult to relax or be productive at work. At Austec Electrica. Split system, ducted and reverse cycle air conditioner installation Buying a good quality air conditioner is the first step to all-round comfort in your home or office, but installing it properly is the most crucial step of the entire process. When it comes to air conditioning installation in your Perth property, you want it done properly the first time to ensure that it works efficiently without giving you any problems. That’s why you want to work with an experienced professional outfit like Austec Electrical. We have installed thousands of air conditioners in our more than 30 years in the industry. Don’t take chances with your new air .